The aim of Lactojoy is to offer to the global market a chewable lactase tablet which is of the highest quality and, at the same time, affordable. Due to lighter tablet compression these can easily be chewed and combination of the immediate effect of the lactase powder and the comfortably small tablets means this is a product that was not available until now. 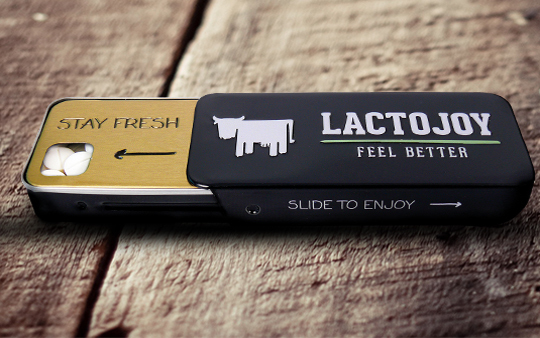 Moreover, LactoJoy takes into account that lactose intolerance is a thing of normality, the packaging meets the customer demands for a high quality which means a design which is tailored to modern lifestyle. Because high quality is especially important to us, LactoJoy is free of chemical additives. It consists only of lactase and plant-based release agents. Of course, the tablets are also free of animal components, sweeteners and colouring agents. At the price of approx. 1.6 cents per 1,000 FCCLactoJoy is also easy on your wallet. You can save even more by recommending LactoJoy to friends and acquaintances. For every new customer which you recommend us to, we will give you 10 € when they place their next order. of the friend which you have recommended us to. a voucher code worth 10 € to you via e-mail. your next order in the shopping cart section.